Compact User Friendly Rotary Polisher. 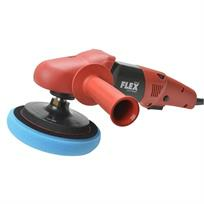 The FLEX PE14-3 125 Lightweight Rotary Polisher is built for speed and effortless operation. This compact polisher weighs in at only 5lbs / 2.27kgs and really is FLEX's most user-friendly rotary polisher!